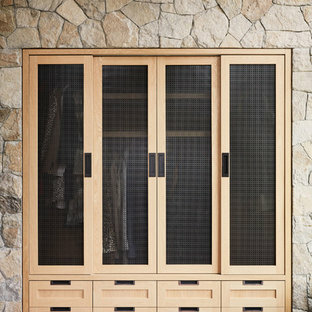 This mudroom accommodates the homeowners daily lifestyle and activities. 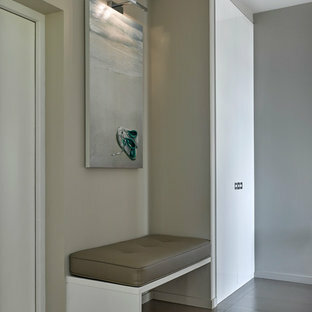 Baskets and additional storage under the bench hide everyday items and hooks offer a place to hang coats and scarves. Let's face it. 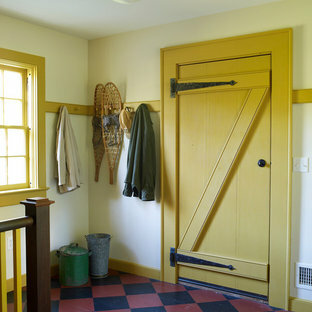 The back door is the most used entry into the house. It's the area that needs to be the MOST organized so why not make it both functional AND beautiful, with a splash of color in an otherwise dark area of your home? All members of the family can grab what they need in a hurry, including the dog! 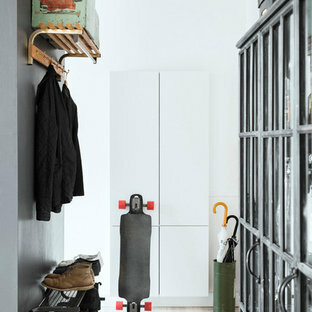 Garage to mudroom conversion of this 1940's home creates a great new space in NWDC. 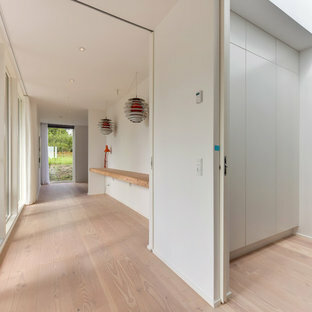 Includes custom built-ins with lots of storage.